You might never have heard of the Krugerrand, but you might have one lying around without realising! The Krugerrand gold coin is South African. Its name comes from Kruger, the name of a former South African president, and rand, the South African unit of currency. You can recognise a Krugerrand coin from the portrait of President Kruger on its face and the South African Springbok on its reverse. All Krugerrand coins are minted in 22 karat gold, which means they are 91.67% pure gold. This has long been used for English gold sovereigns and is historically known as ‘crown gold’. While this makes the Krugerrand more orange than yellow, the high percentage of pure gold makes these coins extremely valuable. Because the copper alloy makes these coins more durable, they are more scratch and dent-resistant than other similar coins, so this often positively affects the Krugerrand value. If you’re looking to sell Krugerrand, the price you will get will depend on the size, condition and rarity of your coin. There are four different sizes, or denominations, of Krugerrand coin: the Ounce Krugerrand, Half Kruger, Quarter Kruger, and Tenth Kruger. Despite these differing in height and weight, all coins still bear the same 22 karats of gold. The amount you will receive will ultimately depend on its condition. But to give you a basic idea of the price region you can expect you can use our Gold Value Calculator. As it stands, you will receive around £863 for if you sell Krugerrands. If you possess a rare Krugerrand coin, you will get offered significantly more cash for your gold. The 1977 gold Krugerrand is an example of this. The 1977 Krugerrand was limited to just 8,500 gold coins. 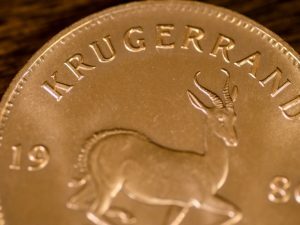 The coin contains an ounce of gold and, like all Krugerrands, depicts the portrait of president Paul Kruger and South Africa’s national animal: the Springbok, along with the words “South Africa” in Afrikaans and English. You can determine what year your Krugerrand was produced by looking at the reverse — on all coins, the year is displayed at either side of the Springbok. If you’re looking to sell your 1977 gold Krugerrand, its current value is over £1,000. When compared to the standard price of £800+ of a Krugerrand coin, and it’s obvious that possessing a rare coin with a lower mintage has a significant influence on its value. Where Can I Sell Krugerrand Gold Coins? If you’re wondering the best place to sell Krugerrand, then look no further! Post My Gold is made up of expert appraisers and we will always give you the best price for your Krugerrand gold coins. Not only that, but the process is quick, easy, and the only effort required is a quick stroll to the post box. All you need to do to get started is to request your FREE gold pack. Send us your gold coins in the pre-paid envelope (fully insured by Royal Mail) and relax while we appraise your Krugerrand’s value. We’ll send you a quote, and if you’re happy, you’ll get paid the same day! If you decide you want to keep your coins, then simply let us know and we’ll return your gold coins in the post — pre-paid and fully ensured for your peace of mind. 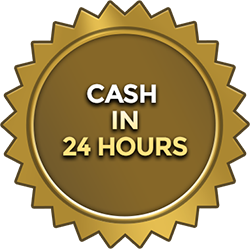 We also offer a price match guarantee, so if you receive a better offer from another company, we’ll be more than happy to match it. Are you a coin collector looking to offload some Krugerrand gold coins in return for a fantastic price? Get in touch with Post My Gold today to request your FREE Gold Pack!